From alligator to zebra - with a goldfish, iguana, yak, and even a unicorn in between - there's no better way to learn the alphabet than with animals... in underwear! Padded Board Book. Author Todd Parr. Ages 2 - 4. Meet ten colorful, lovable (and sometimes a little slobbery) canine friends in this kid-friendly concept book. From one doggy kiss all the way up to ten, each page stars playful pooches showing love the best way they know how. Padded Board Book. Author Todd Parr. Everyone's favorite pig takes on the ABCs in an adorable board book that explores the alphabet from A to Z, romping through the alphabet as only Olivia can. Author Ian Falconer. Ages 2 - 4. Count along with Olivia! 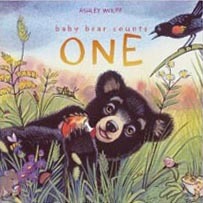 In this enchanting board book, toddlers will join everyone's favorite piglet as they learn to count from one to ten. Author Ian Falconer. A told B, and B told C, "I'll meet you at the top of the coconut tree." ... The whole alphabet up the - Oh, No! Chicka Chicka BOOM! BOOM! Board Book. Ages 1 & up. "1 told 2, and 2 told 3, I'll race you to the top of the apple tree." One hundred and one numbers climb the apple tree in this bright, rollicking, joyous rhyme. As the numerals pile up and bumblebees threaten, whatxs the number that saves the day? (Hint: It rhymes with "hero"). Ages 1 & up. This comforting alphabet book links words and phrases with familiar images from everyone's favorite bedtime book. The book has a vinyl like padded cover. Ages 1 - 3. From kittens to cows , these comforting images find new expression in this counting companion to the classic bedtime book. The board book has a vinyl like padded cover. Ages 1 - 3. 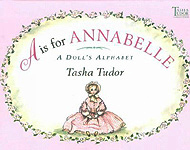 Learn the alphabet from A to Z with the help of Annabelle the doll. Each gorgeously illustrated spread features one of her favorite things. With antique boxes, parasols, and yarn for knitting, children can learn the alphabet in grand style. Hardcover. Author Tasha Tudor. Ages 4+. 1 is one duckling swimming in a dish 2 is two sisters making a wish. Sweet rhymes and gentle illustrations provide preschoolers with an easy-to-read counting book that celebrates the simple pleasures of life. Hardcover. Author Tasha Tudor. Ages 4+. 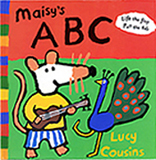 Maisy the mouse peeps out here and there among the animals of an alphabet book that features tabs to pull and flaps to lift. Hardcover Lift the Flap, Pull the Tab Book. Author Lucy Cousins. Ages 3 & up. 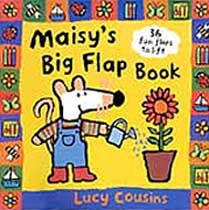 Lift, look, and learn with Maisy and her friends! Maisy, Cyril, Tallulah, and Charley are busy working in the garden, painting and playing in the playroom and having fun at the park. Join them by lifting the flaps on every page and learn about numbers, colors, shapes, and opposites. Over 36 fun flaps to lift. Hardcover Lift-the-Flaps Book. Author Lucy Cousins. Ages 2 - 5. Over 100 creatures and plants from A to Z hilariously demonstrate action words, synonyms, opposites and more which are presented in this multiconcept book. 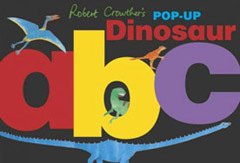 A spectacular removable poster has individual pop-ups for each letter of the alphabet. 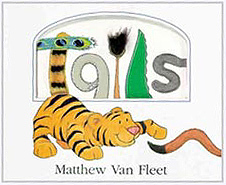 Hardcover multiconcept book by Matthew Van Fleet. Ages 2 & up. 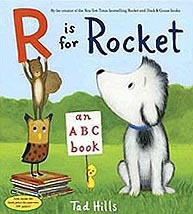 From finding acorns, to balancing on a ball, to offering a cookie and a crayon to a crow, readers will love exploring the wonderful world of Rocket and his friends. The whole cast is featured, among them the little yellow bird, the owl, Bella the squirrel, and more. With charming and delightful scenes for every letter, here's an ode to the wondrous, mighty, gorgeous alphabet. 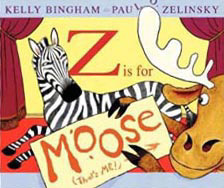 (Take off the dust jacket to find a fun alphabet poster printed on the inside!) Hardcover Picture Book. Ages 3 - 7. Fall has arrived in Baby Bear's forest, and the woods are teeming with animals busily preparing for winter that youngsters are invited to count, from one to 10, as Baby Bear and Mama hustle home to their cozy den just in time for the season's first snowfall. Hardcover Picture Book. Ages 5-6. Kids will love learning their ABC's and colors with this Little Quack Set. Children can spy an ant, butterfly, caterpillar, duckling, an egg, grass and more letters. Then they can explore the colorful world around them! From bright red ladybugs to oozy brown mud, kids will love learning the colors of the rainbow with Little Quack. Padded Board Books (6" x 5"). Author Lauren Thompson. Ages 1 - 3. Little Quack and his sister Widdle learn their numbers during their exciting adventure by counting from one butterfly to five bees and then back down to one Mama Duck! Then Little Quack and his brother, Puddle, explore various opposites: up and down, big and small, loud and quiet, and much more until Puddle falls asleep. Padded Board Books (6" x 5"). Author Lauren Thompson. Turn the pages to say each letter of the alphabet, then lift the flaps to reveal fascinating prehistoric beasts. Filled with ingenious pop-ups and facts about dinosaurs from allosaurus to zuniceratops, here is a book that children will enjoy again and again as they find the hidden dinosaurs. Hardcover Ages 4 - 7. Arthur plays the accordion, Flora feeds the fish, and more. Join Babar and his family in an alphabet of fun! Board Book by Laurent de Brunhoff. 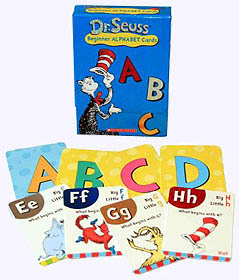 Dr. Seuss Beginner Alphabet Cards use fun games and learning activities to teach the most important pre-reading skills: Recognizing letter shapes, Practicing letter sounds, Matching words to things, Building small words, and Making rhymes. 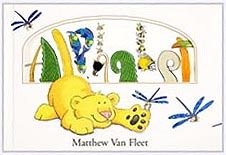 Includes 26 alphabet cards, an instruction sheet for games and learning activities, and basic tips for teaching children to know their letters from A to Z.